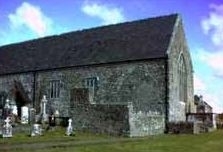 The site is about four miles from the village of Eyrecourt. Remains: church and sacristy are still in use; traces of transept chapel and friary; a small mill; N.B. – bas-relief of St. Francis, many seventeenth century inscriptions etc. 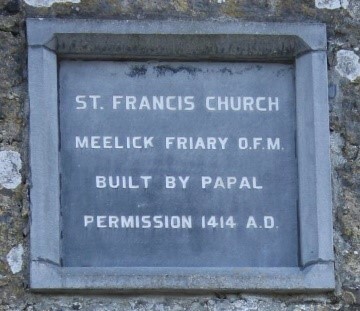 Papal permission for Meelick friary was granted by John XXII in 1414, probably on the basis of an O’Madden request. Repair work was being carried out in 1445 and again in 1479, when the friary became Observant. Under O’Madden protection, the friars were able to survive suppression until 1559. They then went into hiding, perhaps in the Wood of Muckeny, or on Friars Island. However they were never very far away from their old home, and returned as soon as they could. 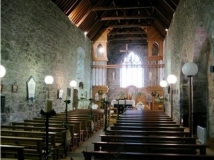 The friars again made preparations to depart in 1698, but soon returned. There were four friars in the community at Meelick during most of the eighteenth century. 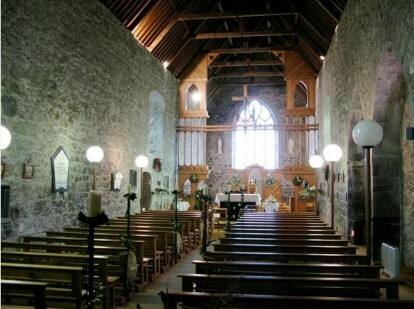 In addition many friars worked in the parishes of Fahy and Meelick. 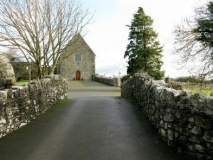 By the nineteenth century, the community had dwindled to two, despite which the church was repaired in 1832. 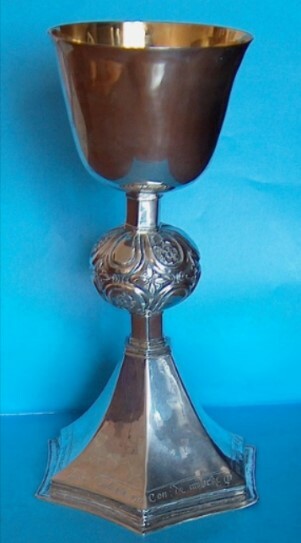 The last friar of Meelick was Fr. Bonaventure Francis Reynolds. When he died in November 1852, there was no friar available to replace him.